A test: A fast descent after fully warming up to see if your chosen kit is up to the job before getting too far away from your kit bag. 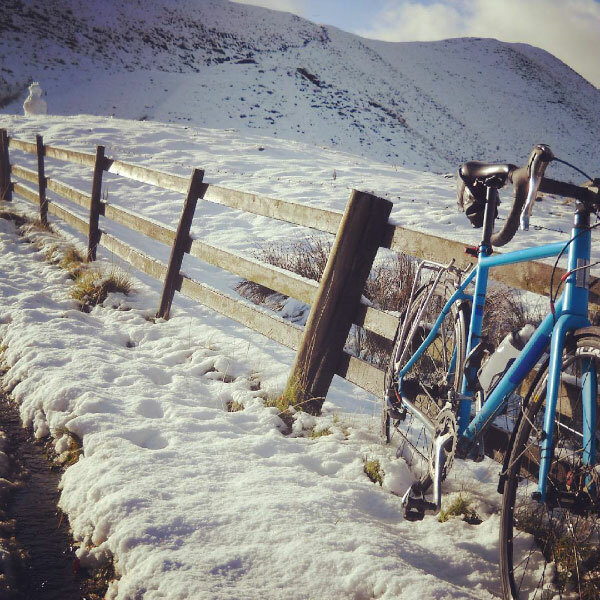 An escape route: The first route decision, after discovering your gloves/shoes/jacket are not up to the days temperatures a relatively flat escape route back to your car/bag of kit/house/bike shop (not back up the same hill you used to do the test is definitely preferable). Or a complete abandon if it’s snowing or icy. Some climbs: To keep the core temperature up and the wind chill (at slower climbing speeds) down, preferably frequent and not too long, as long descents will cause the body temperature to drop. So in its simplest terms the idea is to get warmed up, see what the wind is like on the exposed hilltops and feel the chill of a fast descent. In its simplest form you can just cycle up a big hill and back down it again right past the house/car you’ve just left. But what if you’ve got the choice right? That’s hardly the most appealing start to a ride. No the art of the winter route design is to include this whilst it looks like just a normal ride, and getting the timings right for the loop and “kit changers” in the group to come together without anyone waiting around getting cold and impatient. You can! that’s a nice simple way to bring it all back together, a simple figure of eight loop. This might be the easiest route to plan too. Just make sure the hill for warming up is actually a warm up, and not the biggest, steepest challenge of the day. And don’t get cold whilst waiting for other people to faff around. I’ve included an example route for the Peak District which can be downloaded and used for free. 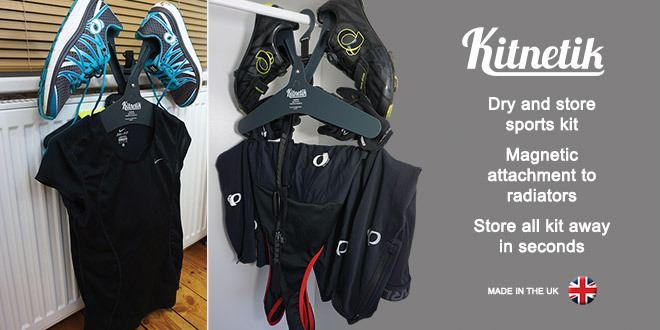 It’s a realistic winter distance of 50 miles (80km), try it out and let me know if it works for you. Download file and put it on your GPS device (on some browsers it may just open as text, click the download button to download the full file). The route starts in Calver, with free parking available on the roadside just outside the school. A few rolling lumps in the road get my legs warmed up before the first climb from Grindleford up through the Longshaw Estate to meet Hathersage Road near the Fox House pub. After this climb the body should be running at full temperature. The elevation gives exposure to the wind I’ll experience on the hill tops, a chance to feel the wind chill. I reach “Surprise View” at the top of the hill ready to descend to the bottom of the Hope valley and the village of Hathersage. From the top I can see snow covering the distant hill tops, the ones I’m heading towards. A long and fast descent follows to the valley floor. In Hathersage I have the option of a left turn back to the car, avoiding any impending frostbite. Alternatively any of the local mountaineering shops may offer some more substantial gloves/socks/base layers/jackets. Still got feeling in fingers and toes? Test complete, congratulate yourself and ride past the safety of the escape route. As mentioned previously, if you’re in a group and some members of the party have made some errors of judgement with their kit, send them back to the car to grab the extra gloves/socks/shoe covers/leg warmers etc whilst the group does the optional loop. Stage 2 – The Optional Loop. It’s quite a simple decision today, I can see snow on the top of the hills I’ll have to climb for the optional loop. I’m only a quarter of the way into the ride and enthusiasm for a really steep hill is still high, the main attraction being the views up ahead. Had it been raining or indeed sleeting right now I would also have the option to shorten the ride by skipping this loop. The valley floor has lead me to Castleton and the stunningly beautiful Winnats Pass. Steep and long enough to be noticed, the pass is a real challenge with rewarding views, and on this day a sprinkling of snow. At the top the road winds around to turn into the next valley, Edale. The northerly facing slopes thick with recently fallen snow and hidden from the sun that threatens to melt it. The uppermost corners are a little slushy but nothing dangerous. “Amazing day to be out” I shout to a fellow cyclist on his Pinarello in full Rapha wardrobe. “I can’t feel my bloody toes” he replies. That does explain his descending speed, reducing wind-chill with a “cautious” descent. Poor bloke, hopefully he’ll read this! A blast through the fast rolling lumps of the Edale valley completes the loop. Stunning views, steep climbing and a thick blanket of snow; I’m glad I braved the cold. After a bit of main road to Bradwell, a small road leads off the right, through the houses and up into the hills. Narrow lanes, almost deserted, finally some cycling solitude. It’s high and exposed to the winds along this section, the elevation giving views across the valley. A few quite villages pass by, the roads almost deserted as I roll onwards. The route passes Monsal Head, I stop to admire the view of the viaduct in the valley below, before rolling to the valley floor at Ashford in the Water for refreshments at the local shop and deli. A brief section of main road again before taking a sudden right turning on top of a blind hill. Be aware of this junction and take care with traffic. The quite roads, lead towards Youlgreave via a ridiculously steep downhill hairpin bend and some single track roads. From here it’s a charge down to the A6 where the cycle path guides me to Rowsley, and the turn off to Chatsworth. It always feels a bit special cycling through the Chatsworth Estate, surrounded by herds of deer as the light reflects from the golden windows of the great house. It’s a romantic vision of England that wouldn’t look out of place in a Hollywood movie, and I’m cycling though it and onwards to Baslow, and a short flat stretch back to Calver where I left the car and my kit bag. Ride completed, suffering minimal, fingertips intact and I can feel all my toes. Better than a session on the turbo trainer? Yes! Some of the best views I’ve seen all year? Probably. 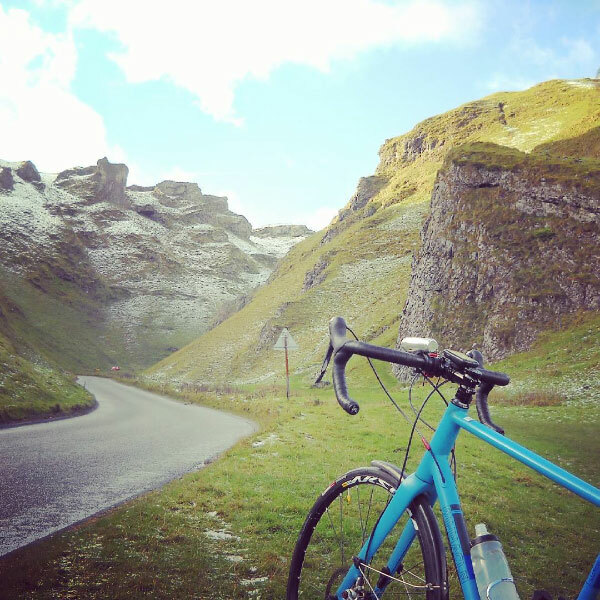 Beautiful lead image, Winnats is one of my favourite roads in the UK. Think I may plan a return visit next year.